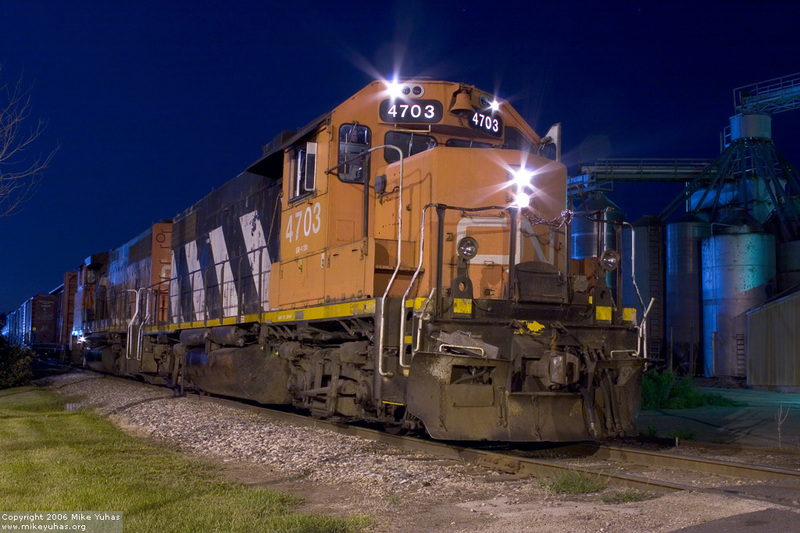 The day crew on CN train L50781 left their train here on the main at Saukville earlier this evening. A relief crew had just arrived; they'll spend the next few hours switching the nearby industries and head back south. Crews are happy when two units are assigned to this train.